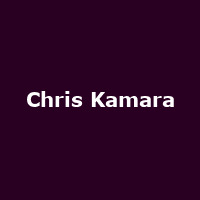 Chris Kamara is an English former footballer and manager who works as a football pundit and TV presenter. He spent the bulk of his professional footballing career at Swindon Town and Brentford as well as stints at Leeds United, Portsmouth and Stoke City among others. He is a presenter on ITV's Ninja Warrior UK and is perhaps most famous for the phrase: "unbelievable" and his infamous "I didn't see that" moment when a player was sent off at a Portsmouth V Blackburn game in 2010.